Normally, by this time of year, we will have held a Divisional Conference, however you may remember that at our conference last year we passed a remit which changed Book of Constitution regarding Divisional Conferences. From now on a Division is only required to hold a conference once during the three-year term of the Divisional Grand Master (BOC 139a), however there are still the annual accounts to be approved and other constitutional requirements that must be met. To this we have decided as a Division to hold two evening meetings in each District to address these constitutional issues and to also update you on the new Strategic Plan which was launched by the Board of General Purposes last month. These meetings are open to all brethren and I strongly urge you to attend, as this is your opportunity to have a say in the running of your Division. The following circular was sent this week to all Lodge Secretaries and it is very important that it be read at your next Lodge meeting. It is the responsibility of the Lodge Trustees to ensure that the Book of Constitution is being adhered to. I will be, with the help of the District Grand Masters, monitoring the submission of the various documents over the next few months. Please see that your secretary reads this and that he is meeting your Lodge's constitutional requirements. This Circular must be read in full at your next Lodge Meeting and action taken if required. It has come to the attention of the Board of General Purposes (including your Divisional Grand Masters) that many Lodges are failing to meet their requirements as outlined in the Book of Constitution (BoC) and the Collective Rulings (CR). A portal on the Divisional websites allows for some electronic returns. This information enables The Board and the Divisional Grand Masters to maintain up to-date membership records, so no member or lodge is disadvantaged. 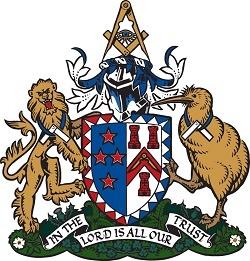 It also ensures that financial probity is happening at all levels of the organisation and helps to determine the overall health of Lodges and the greater state of Freemasons New Zealand. Your attention is drawn to: CR61 Secretary’s Checklist & BoC Rules 56 b v, 82 b, 95, 239 c, 101 c.
One of the roles of the Lodge Trustees, is to ensure these functions are being carried out by a lodge as It can be considered a masonic offence if the returns are not made under Rule 239 c. A consequence of failing to submit returns is that Lodges will be denied a Commission to vote on Remits at a Communication, Divisional Conference and other means allowed for in the Book of Constitution 203 a vi and 139 f vi. Your Divisional Grand Masters, with the assistance of their District Grand Masters, will be contacting Lodges who are not meeting their constitutional obligations. Your Lodge’s assistance in conforming to this matter is recommended. I pinched the following “Ten Reasons to Become a Mason” from Facebook so if you have already seen it then I apologise, however there is some good points in there and I thought it may just help you when you are “Speaking Up for Freemasonry”. Out of interest, did you talk Freemasonry with anyone, preferably a non-mason, over the Christmas/New Year period? 2019 is finally upon us and it is shaping up to be a very busy year. Your secretary will have already received information on the appointment process for promotion to or for further promotion within Grand Lodge. Is this something you aspire to and is there a role that you feel you could fill with confidence? If so, talk to your District Grand Master who will be more than happy to explain what the various roles entail and what the ongoing commitment is. 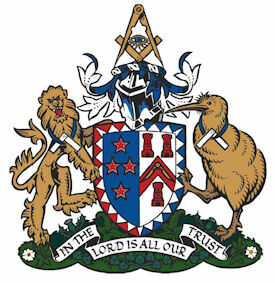 And 2019 is Grand Installation 15/17 November in Wellington. Have you registered yet so as to take advantage of the early bird registration fee? 1. Masonry is a place where you can confidently trust every person, and entrust your family with them. 2. Masonry is a place where, within moral and civil guidelines; free thought, free speaking and the spiritual growth of man can grow into its fullest potential. 3. Masonry is a place which provides the opportunity to meet, know, and call brother, outstanding individuals from all walks of life that I would not otherwise have met. 4. Masonry is a place to be a part of an organization that has for its principle tenets ---Brotherly Love, Relief, and Truth. 5. Masonry is a place that provides self-development opportunities, leadership training and experience, and to improve public speaking skills. 6. Masonry is a place you can go to give support as well as seek it. 7. Masonry is a place where moral virtues are taught and through these teachings a regular reinforcement of the moral virtues is experienced. 8. Masonry is a place to spend time with a group of brothers, who, by acting as good men, make me want to become a better man. Not better than others, but better than I would otherwise have been. 9. Masonry is a place to become better prepared to serve church and community. 10. Masonry is a place to meet with established members of the community and to become a part of the community. 12 Months to go till the next Grand Communication and Grand Installation. Time to start planning to attend. All Lodges should be saving to pay for or at least assisting their Master and Wardens in attending. The Grand Installation is our triennial showpiece, where a new Grand Master and his officers are installed and if you have never attended one then now is the time to go online and register. NOTE: This is open to all Masons and their partners. Entered Apprentices and Fellowcraft Freemasons are especially encouraged to attend. The event is being run by the masons of the Central Division and I will be going out in early February next year for volunteers to help.